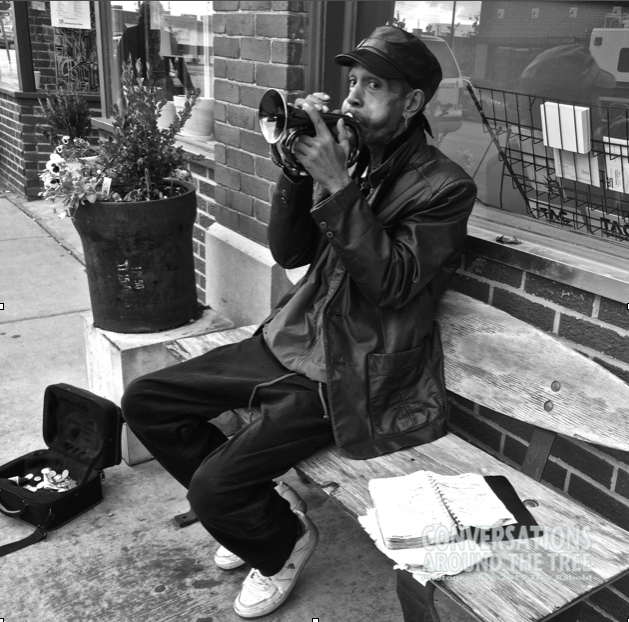 This entry was posted in Uncategorized and tagged Cee's Black & White Photo Challenge, music, street musician, Tulsa on March 22, 2015 by treerabold. Thanks Cee. I met this guy as I was walking back to the hotel in Tulsa after completing a half marathon. He was so talented. I had a chance to talk with him a short time and found him very pleasant! Well you certainly put a smile in my week….Thanks Cee! !